Minimal, light synthetic upper. Flexible pebax plate. 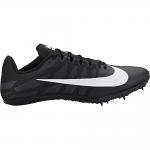 Nike's lightest sprint spike for the serious sprinter who craves the ultimate in lightweight flexibility. 100m-400m FIT NOTES: Runs true to size. 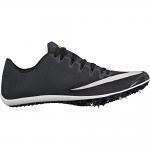 PROFILE: This shoe is for the elite level 400 meters track athletes.